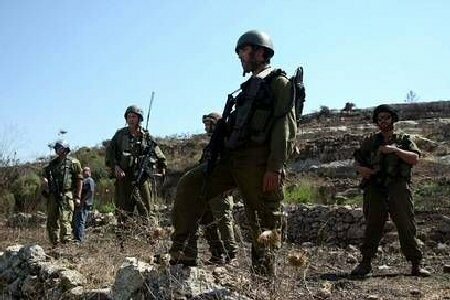 The Israeli army seized, on Thursday, a plot of agricultural land amounting to 29 dunams, in an area that belongs to farmers in the village of Jalameh, east of Jenin, in the northern West Bank, under the pretext of “security reasons,” according to one of the landowners. Khaled Abu Farha, Jalameh’s former head of village council and a landowner, told WAFA that the army seized 29 dunams of village land in the vicinity of a military camp built near the village. He said that the land belongs to six families and to the Palestinian Industrial Estates & Free Zones Authority (PIEFZA). He refuted the army’s claim that the reason for the seizure of the land was security, stressing that the true reason is that this land is rich with gravel, cement, stone and sand, which Israel wants to put its hands on. He warned that removing the gravel and sand would endanger the fertility of the agricultural land in that area and harm the environment.